However, 49 are available from other sellers. 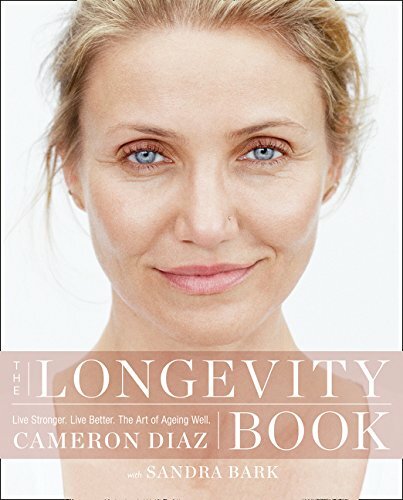 From Cameron Diaz, the #1 New York Times bestselling author of The Body Book, comes a fresh, personal, and authoritative examination of the art and science of growing older and a roadmap for abundant health and resilience as we age. 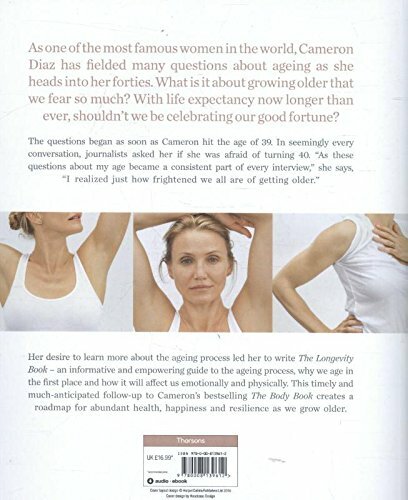 When Cameron Diaz wrote The Body Book, she was on a mission to help educate young women about how their bodies function, empowering them to make better-informed choices about their health instead of heeding the advice of the latest headline or trend. So she interviewed doctors, scientists, nutritionists and a host of other experts, and then shared what she'd learned with young women everywhere in a comprehensive volume hailed as 'smart', 'brimming with science' and 'the real deal'. Once again Cameron Diaz is on a mission. But this time, she's starting a conversation with her peers on a topic that is virtually taboo in our society: the ageing female body. In The Longevity Book, she will share everything she's learned about the ageing process from top medical experts and researchers, as well as her own thoughts, opinions, and experiences on a topic that is as essential to our health as it is emotionally charged and culturally neglected. The Longevity Book will explore what history, biology, neuroscience and the women's health movement can teach us about maintaining optimal health as we transition from our thirties to midlife. From how growing older impacts various bodily systems to the biological differences in the way ageing effects men and women; the latest science on telomeres and slowing the rate of cognitive decline to how meditation heals us and why love, friendship and laughter matter for health. The Longevity Book will offer an all-encompassing, holistic look at how the female body ages - and what we can all do to age better. Cameron offers women a compassionate, informative and intimate tour through the next volume of life.